Sing the melody of Let it Snow to these words and you will see why a winter romantic getaway should be on your bucket list! 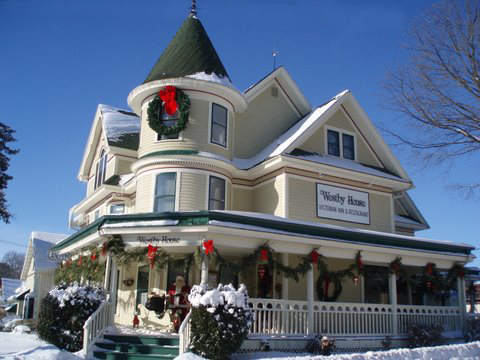 Thou, the soon to come snow outside is frightful, while soaking in a whirlpool tub inside is delightlful and since the Westby House Inn is the place to go, let’s reserve, let’s reserve, let’s reserve. 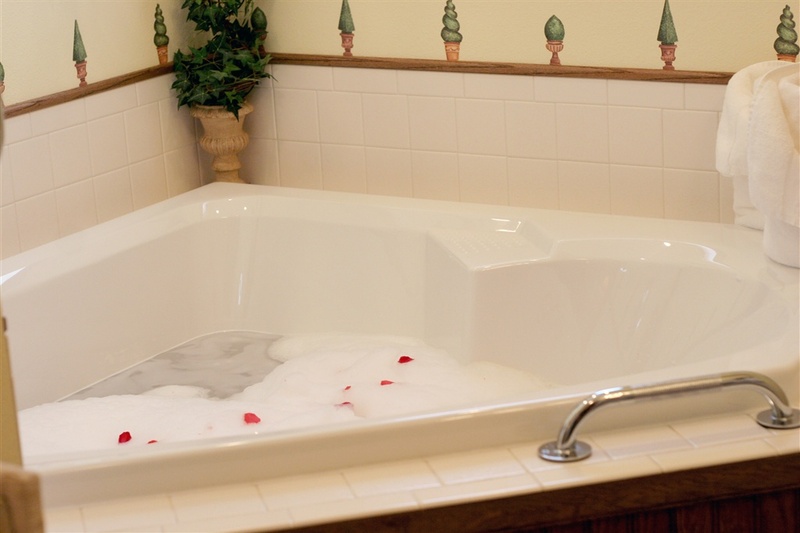 The Westby Guest House offers two wonderful rooms with whirlpool tubs – The Victorianne Room and The Atrium Room. Located just 50 feet from the Main House, this once residential home received a extreme home makeover to add comfort and sophistication to the accommodations. The gazebo front porch entrance welcomes you to the Guest House while each room’s private doorway awaits your arrival on opposite sides of the entryway. The Atrium Room will give you the feel of your very own studio. It is decorated with well appointed charm and detail. The South exposed sunny sitting room offers a bank of windows for a perfect afternoon to let the day go by. The queen-sized bed in the bedroom chamber is layered with a feather-bed mattress topper and fluffy comforter. When it is time for your night of rest gaze at the Starscapes star constellations on the ceiling to dream the night away. The gas fireplace adds a soothing glow to the chamber. The corner Jacuzzi double whirlpool tub is a nice way to begin the evening or morning. A gas fireplace adds the finsihing touch to a romantic getaway. A full kitchen is available for your convenience of bringing your favorite foods to enjoy during your getaway. While the Victorianne Room allows you to Return To A Simpler Time…in this extra large accommodation. Your worries of the day will melt away as you stargaze in this queen-sized sleigh bed. Turn off the lights and be mesmerized with an evening sky of stars and the Big Dipper constellation on the ceiling. The bed features a feather-bed topper mattress and fluffy comforter. 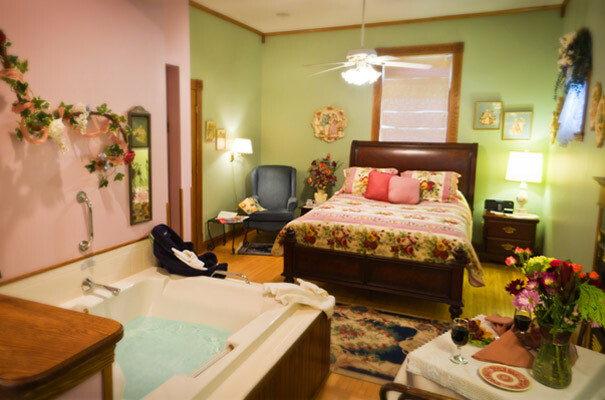 Perhaps you may just want to settle into the Queen Anne furniture sitting alcove and spend some time reminiscing of your days journey or slip into the always welcoming Jacuzzi double whirlpool tub. This well detailed room is also complemented with a gas fireplace, beverage station, refrigerator, TV, and entertainment center with ceiling speakers. Plan your serene and peaceful romantic getaway to Southwest Wisconsin’s Driftless Region today!